The British Petroleum Company Plc (BP) is arguably one of the biggest oil or petrochemical companies in the world. The company specialises in oil and gas business. The company came into life in 1909, bearing the name Anglo-Persian Oil Company Limited. The company has businesses in many nations around the world. Today, BP has its headquarter in London. This report contextualises BP in 2060. The key objective of this assignment is to assess the current socio-economic, political, and technological realities to determine the BP’s business scenario as of 2060. In other words, this essay explores a business scenario for BP in the next forty-four years. The key objective of this report is to show the degree of sustainability of BP’s business model and the British/global oil industry in the next 44 years from now. This project is based on the assumption that BP and the oil industry at large have undergone dramatic changes from 2016 and now in 2060. The oil industry, like any other industries, has undergone several changes due to the impact of environmental, legal, technical, and social factors. 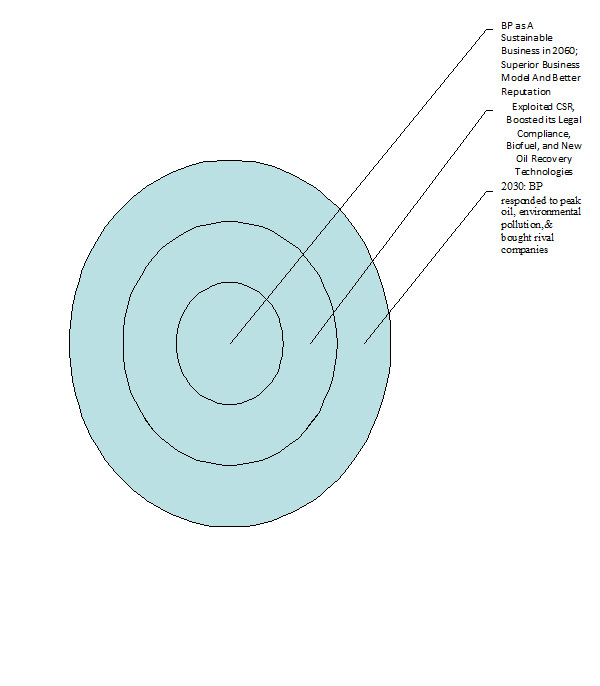 There are various external sustainability drivers and barriers of the UK oil industry in 2060. Technology is one of the factors that shall sustain the BP’s operations and the oil industry at large. Technology is the driver of clean fuel production, fracking, and other areas. The other external driver is the issue of environmentalism. At the moment, BP is facing immense pressure from environmentalists in the way it is handling its Arctic and offshore drilling activities. In this regard, the company should manage its operations in a way that conserves and protects the environment because it has earned a bad reputation in the past over the way it has handled oil exploration activities in the Gulf of Mexico and other areas. Legal influences and the instability in the global and local economy have also affected the sustainability of the company’s business. The British government has passed legislation that fines businesses that fail to address environmental pollution. Therefore, many external factors have influenced BP’s sustainability situation for 2060. BP thrives in the UK and many other countries because of the stable political situation in those countries. Politics often cause business conflicts that can undermine the sustainability of business (Roemer-Mahler 2013). In the last 15 years, the company has been able to exploit the stable political scenario in the UK and many countries where it operates to expand its operations. For example, the company has expanded its operations in Europe because of the close relationship between the UK and the EU. The stable global economy and a sound financial policy in the UK have enhanced the company’s business. The UK economy has grown exponentially in the last ten years because of the government’s sound economic policies. The growth of the British population has created more business opportunities for the company and its rivals like Shell Oil Company. Britain’s 77 million people consume more fuel per capita because they own many cars (Kirkup 2008). There are hundreds of new oil distribution and supply plants and station all over England, Scotland, Wales, and Northern Ireland. 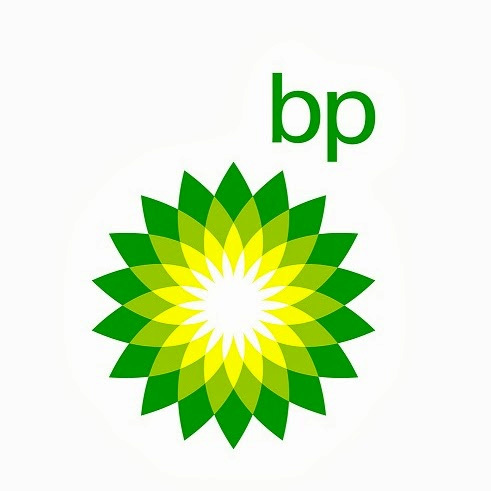 BP thrives because of the technological advancement that has happened in the last twenty (20) years. BP combines both fracking and biofuel technologies to generate extra fuel because of the decline in reserves (Liew et al. 2012; Vasudevan et al. 2012). Oil reserves have become scarce because oil reserves are dwindling faster due to increased used. The company is using fracking extensively in Northern Sea and in Norway to improve the recovery of gas and crude oil. The demand for electric cars has also enhanced the sustainability of BP’s business. Oil is still critical of aviation and road transport, but the electric automobile industry has reduced the demand for fossil fuel thereby reducing the pressure on oil reserves. As a consequence, the company looks forward to a better future. BP has respondent well to environmental concerns over the use of oil and the entire business in oil, gas and petrochemical products. Scientists and laypeople have accused oil products as the major polluters of the environment (Peters et al. 2013). BP has also been accused in the past of lack of commitment to preventing oil spills the Atlantic Ocean and the Middle East region. The 2010 oil spill in the Gulf of Mexico undermined the company’s corporate image. Pollutants from diesel and petrol have also been associated with health issues such as cancer and lung disease. Consequently, the company has partnered with scientists and car manufacturers to limit the amount of carbon dioxide released into the atmosphere from auto and machine engines. The legal dynamics have shaped the company’s business. Ostensibly, there have been various legislations that have created limitations and opportunities for the company’s operations. The UK, US, and other countries have increased carbon tax twice fold to conserve the environment. At the same time, the House of Parliament passed the Oil Recovery Act of 2059 to enhance fracking in the North Sea. There have been many international conventions have banned the Arctic and Antarctic oil drilling. However, Russia, the US and many states in the northern hemisphere have legalised exploration in the Antarctic Sea and Arctic Circle for their own economic good. The British oil industry and BP need a sustainable business climate because of their mutual benefits and the contribution they make to the British economy. Oil is the primary energy source that drives the British economy. The British people appreciate the importance of BP to the country’s economy. BP contributes £8.4 billion to the UK economy and created more than 132,100 jobs to the UK workforce (Oxford Economics 2015). The company’s direct operations like gas and oil plants fields in addition to the petrochemical plants, major offices, and fuel retailing plants generated £2.3 billion to the British GDP and about 18,850 jobs (Oxford Economics 2015). BP makes approximately 0.5% of the UK’s economy in 2014 (Oxford Economics 2015). Therefore, BP takes the issue of sustainability of its operations seriously because it is crucial to the overall health of the UK’s economy and its people. At the moment, BP is the leader in petrochemical, gas and oil business. The company has expanded its business portfolio that includes oil and gas exploration in the whole world (BP 2014). The company prides itself as a source of excellence and integrity because of its superior corporate etiquette. Currently, the issue of peak oil is a major concern that will influence the company’s future strategic milestones and approaches by 2035. Peak oil is the argument that the current oil reserves will end soon because oil wells are beyond their production capacity (Chapman 2014). The issue of peak oil will be more pronounced as we approach 2060 thereby compelling BP and other oil companies to adopt mitigation strategies that will enhance the sustainability of their businesses. For example, it is possible that the decline of oil reserves will compel many oil companies to divest their operations and perhaps venture into biofuel production. The legal frameworks and policies are also going to influence BP’s operations in the world over. BP does businesses in many countries around the world. Different countries shall pass legislations and come up with energy regulation policies that shall affect the company’s business in many parts of the world. The company shall organise its operations in a way that will comply with the unique legal dynamics of the time. For example, it is possible that by 2055, there shall be a regulation that will ensure environmental conscience and associated use. In 2018, BP conducted research to determine effective ways to cope with rising pressure from environmentalists and communities. BP has been working in Nigerian oilfields, in the Niger Delta, Shell-BP entity (Adams 2010). Shell-BP has been exploiting Nigerian resources for the last 70 years. Therefore, it has been part of the environmental crisis in the region. 2010 is has been a stack reminder of the effect of BP’s. Therefore, the research is meant to improve the mitigation strategies for the company’s operations. In 2020, BP acquired Devon Energy to bolster its operations in North America and South America, especially, in Brazil and the Mexican Gulf. The company also succeeded in buying a significant stake in the Saudi’s Aramco oil. These moves have given the company more leverage in the international oil business. In 2030-the company opened a new office in Kenya and Mauritius to coordinate its activities in the East African region and the Indian Ocean. The company also signed a contract with various African governments to explore oil reserves in the continent. In 2034, the company launched its first biodiesel plant in Wales. The plant depends on algae and other plants. In 2039, BP started using fracking to extract oil in Northern Sea. In 2034, BP signed an agreement with UKERG (UK Energy Research Centre) to research into the ways to produce clean oil products. In 2047, the company constructed ten biodiesel plants in Congo DRC, Brazil, and Texas. The company also built a biodiesel research centre in Kent, here in the UK. In 2051, the company made CSR its corporate strategy to combat the negative attitudes towards its activities that are often seen in the negative light. In 2059, the UK parliament passed the Oil Recovery Act thereby forcing the company to comply with its environmental protectionism principles. In 2060, the company has offered 6000 scholarships to students in Africa, Oceania, North America, Latin America and Asia. The move is meant to boost BP’s corporate image. By imagining this year is 2060, the report shows that BP is a sustainable business because of the initiatives it has taken between 2016 and to date. BP has embraced technology and other business practices to sustain its business operations. The techniques include biofuel production, fracking, and clean energy production. The company also has a vibrant CSR program that it uses to improve its business prospects and public image. The company has initiated a mechanism to ensure compliance with legislation and other international oil and environmental conservation policies. pollution in the Southeastern Baltic Sea by satellite remote sensing data in 2004-2015. Transport and Telecommunication Journal, 17(2), pp. 155-163. Chapman, I., 2014. The end of peak oil? why this topic is still relevant despite recent denials. Energy Policy, 64, pp. 93-101. Insights from oil companies. Journal of Business Ethics, 110(4), pp. 413-427. Fei, T. A. N. G., 2016. An analysis of the responsible parties of inland waters oil spill damages. Cross-Cultural Communication, 12(5), pp. 21-25. García‐Rodríguez, F. J., García‐Rodríguez, J. L., Castilla‐Gutiérrez, C. & Major, S. A., 2013. Corporate social responsibility of oil companies in developing countries: from altruism to business strategy. Corporate Social Responsibility and Environmental Management, 20(6), pp. 371-384.
enhanced oil recovery, and induced seismicity. Seismological Research Letters, 86(4), pp. 1060-1067. Kirkup, J., 2008. Britain will be Europe's biggest country by 2060 with 77m people. The Telegraph. Available at: < http://www.telegraph.co.uk/news/uknews/2626859/Britain-will-be-Europes-biggest-country-by-2060-with-77m-people.html> [Accessed 17 June 2016]. sustainability assessments of biofuel production. Journal of Cleaner Production, 71, pp. 11-29. Oxford Economics, 2015. BP's impact on the UK economy. Available at: [Accessed 16 June 2016]. Peters, G. P., Andrew, R. M., Boden, T. et al., 2013. The challenge to keep global warming below 2 C. Nature Climate Change, 3(1), pp. 4-6. Roemer-Mahler, A., 2013. Business conflict and global politics: the pharmaceutical industry and the global protection of intellectual property rights. Review of International Political Economy, 20(1), pp. 121-152. Vasudevan, V., Stratton, R. W., Pearlson, M. N., Jersey, G. R., Beyene, A. G., Weissman, J. C., ... & Hileman, J. I., 2012. Environmental performance of algal biofuel technology options. Environmental science & technology, 46(4), pp. 2451-2459. Political Issues or Factors Political instability and or uncertainty will influence the course of the company’s business. Economic Factors The growth or decline of the UK and the global economy has an impact on BP and oil sector at large. Social and Cultural Factors Social and cultural practices and attitudes towards oil and oil business shall determine the sustainability of oil business in the future. Technological Issues or Factors Technological advancement such as fracking, biofuel production, clean fuel production and electric car technologies will influence BP’s sustainability in the long-run. Environmental Issues or Factors Environmental issues associate with oil recovery include global warming or climate change, water, land and air pollution, and associated side effects.These environmental concerns can hamper BP’s business operations. Legal Countries have been passing legislations and will continue to do so. These laws can affect BP’s operations wherever it operates all over the world. Weaknesses The company does not have a roadmap to overcome the peak oil crisis. Opportunities The company can exploit biofuel production and work towards the production of clean oil products. Threats The company faces a serious threat from electric cars, biofuel technologies, and peak oil.